Nkechi wondered why it appeared God wasn’t answering her prayers. It so happened that each time she prayed about her needs, she would pray like this: "God, I have come again, you haven’t done it for me yet oh, I have prayed, I have fasted; I paid my tithes, offerings, and first fruits. I have even given to the poor. Has your word failed in my life? Look at Sandra; she got married last month after getting that good job. Is it that you don’t love me? " Some Christians are like Nkechi, they attack God with their prayers; carefully listing all the things He has not done. They are not thankful and they actually believe God owes them because of some money they’ve given in church and some good they’ve done. They forget that we are breathing solely because of God’s mercy, and this we cannot pay for. I would like to let us know that this is the trick of the devil. He likes to blind us to all God is doing for us so we can only see our problems, when in truth, most times, thanksgiving does half of the work in the place of prayer. One of David’s greatest strengths was his ability to praise and give God thanks through every situation. This should be our attitude too. We must adapt the attitude of gratitude if we must receive our testimonies swiftly. The Next time you are about to pray, remember to wrap your prayers in the parcel of thanksgiving and praise (see Phil 4:6). 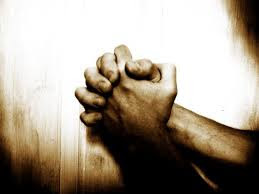 Pray this prayer: Dear Lord, open my eyes to all that you have done for me so that I may always give thanks. Amen.